A Ghanaian undercover journalist who helped expose corruption in African football has been shot dead in the capital Accra, police said Thursday. A police spokesperson told AFP the journalist was shot in the neck and the chest by unknown gunmen on his way home on Wednesday night. Ahmed Husein was part of a team led by award-winning journalist Anas Aremeyaw Anas, whose probe led to the resignation of the head of the Ghana Football Association. Dozens of football referees and officials were also banned. Prior to his death, Husein had made a complaint to police after his pictures were published on national television. Ghana’s national media regulator condemned the killing and called on the police to conduct a thorough investigation. “It will be in the national interest to arrest the perpetrators of this crime,” the commission’s chairman Yaw Boadu Ayeboafo said in a statement. 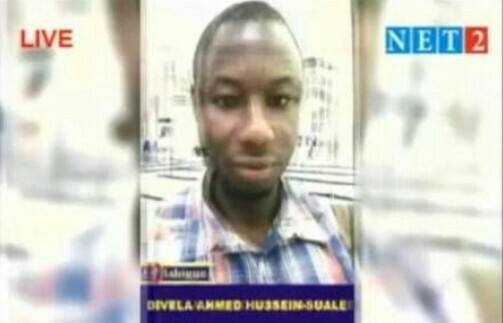 Ghanaian journalists condemned the killing of the 34-year-old reporter, who was instrumental in the international football corruption investigation which broke last year. Football’s world governing body FIFA last October banned former Ghana FA boss Kwesi Nyantakyi for life and fined him nearly $500,000 after he was seen on camera accepting bribes. Nyantakyi was accused of requesting $11 million (9.3 million euros) to secure government contracts. Eight referees and assistant referees were banned for life while 53 officials were subject to 10-year bans. Fourteen officials were exonerated. The revelations rocked Ghana, where football is the national sport and which prides itself as being a stable democracy in an often turbulent region.